Run Forrest for Bubba Gump Shrimp Restaurant menu prices! Bubba Gump Shrimp Restaurant & Market is an American based casual dining seafood restaurant serving freshly prepared fish and seafood dishes in a Southern-style atmosphere. Each location is decorated with movie memorabilia from the Forrest Gump movie. Guests can also choose from a selection of burger, sandwich, rib, chicken and steak dishes. A special menu for kids and gluten-sensitive guests is available. Below are the latest Bubba Gump menu prices. All kid's items include french fries, fruit and a special treat! Vanilla ice cream, chocolate syrup, snickers pieces, oreo cookie crumbs, sprinkles & whipped cream. More Information about Bubba Gump Shrimp Co. Fans of the iconic movie can test their knowledge by answering trivia questions online. Get more than 7 right answers and guests receive a one-of-a-kind sticker. Guests can share their love of shrimp and Forrest Gump by handing out Bubba Gump gift cards. Guest can order and send traditional gift cards to a recipient via postal service or guests can order e-gift cards and have it delivered to the recipient’s email inbox instantly. Bubba Gump Shrimp Restaurant is the perfect location for hosting large groups or tours. Bubba Gump Shrimp Restaurant offers a fun inviting location along with great tasting food to make any event memorable. Whether it is a corporate event, tour group or social event of more than 15 people, guests can submit an inquiry online through the official Bubba Gump Shrimp Restaurant website. Bubba Gump Shrimp Restaurant is proud of supporting local schools and communities. Rewarding school kids is easy with several Bubba Gump Shrimp Restaurant programs. For kids that love to read, Bubba Gump Shrimp offers Reading Rewards Charts. When kids complete the chart, they will be rewarded with a free Kids meal. For kids that are doing well in other areas of the school, Bubba Gump Shrimp offers Achievement Certificates. Kids who earn a certificate will receive a Free Kids meal. Fans of the Forrest Gump movie can purchase unique merchandise such as apparel, accessories and home goods. Guests interested in purchasing items should visit their favorite location or call any location to have items shipped directly. Merchandise is not available for purchase online. Frequent guests can become members of the Landry’s Select Club program and earn points for every purchase they make. Earned points earn special rewards on subsequent visits. Sign up is quick and free. Members will also receive exclusive benefits and special offers delivered directly to their email inbox. Bubba Gump Shrimp Restaurant is always searching for high energy team-oriented individuals. Candidates looking to work in a fast-paced environment and provide exceptional customer service should visit the career page on the official Bubba Gump Shrimp Restaurant website. There, candidates can learn about the company, the unique concept and view list of current openings. 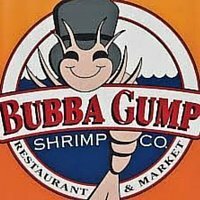 The first Bubba Gump Shrimp Restaurant & Market opened in Monterey, California in 1996 by Paramount Pictures. The concept was created based on the film Forrest Gump and named for two of its characters. In 2010, Landry’s Restaurants purchased the Bubba Gump Shrimp Restaurant & Market chain of restaurants. Today, there are over 40 locations in operation. Landry’s Restaurants is a private corporation headquartered in Houston, Texas. For more information about Bubba Gump, visit their official website.